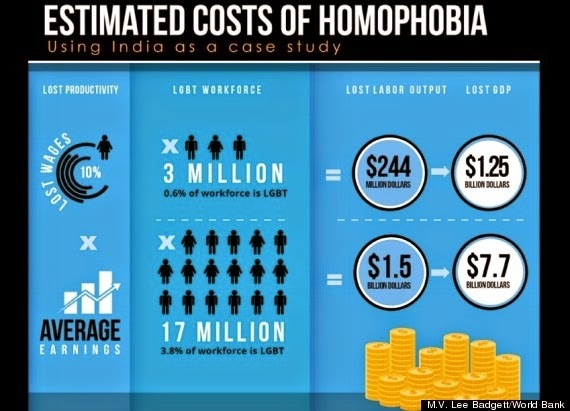 Workplace and education discrimination lead to lower wages for LGBT individuals, which results in less tax revenue reaped by the government. A higher poverty rate due to low income means more government spending on social programs. And poor health, in the form of higher rates of depression, suicide and HIV/AIDS, means higher government health care costs and decreased participation in the workforce. Read the full article and see all the graphs and charts.